Hobnail patterned cast iron tea cup. 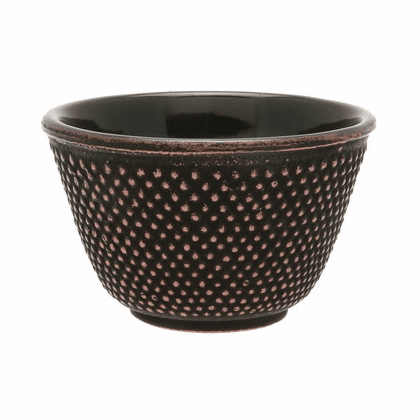 This cast iron tea cup comes in copper & black and has a black enamel interior. Dimension: 3" tall, 2" diameter.